This big, puffy flower made me feel pretty and girly! This project is so easy and can be done in less than thirty minutes. 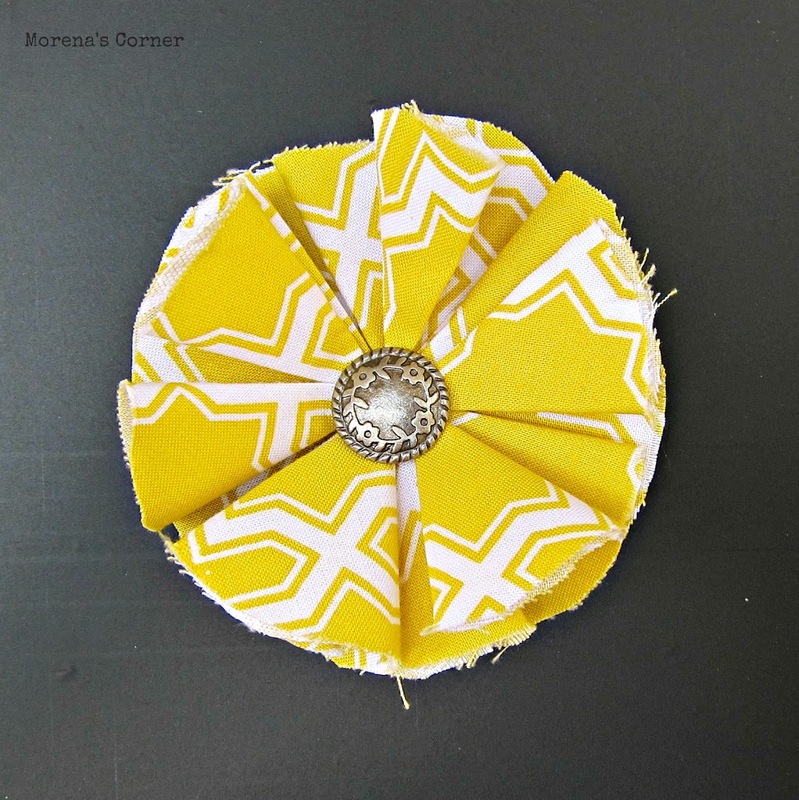 You’ll need fabric and beads or buttons for the flower center. 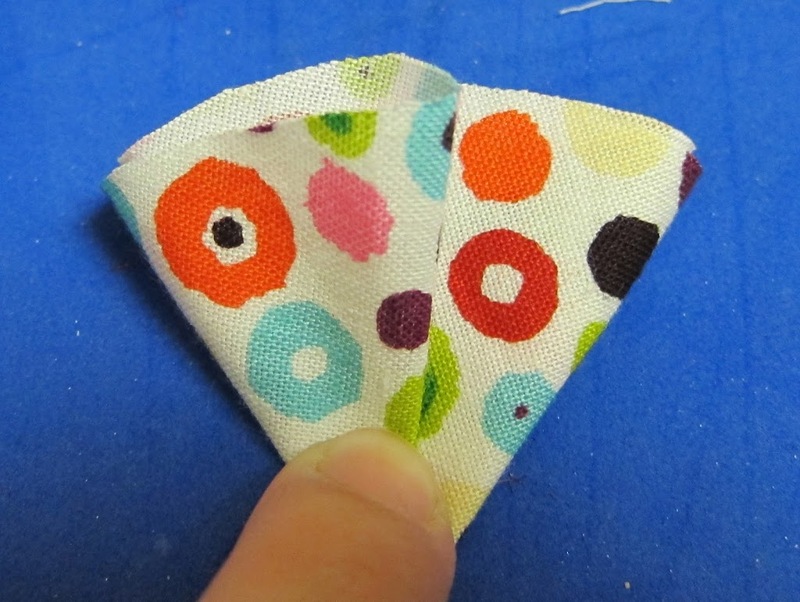 Cut 6-10 circles from your fabric. Mine are about three inches wide. 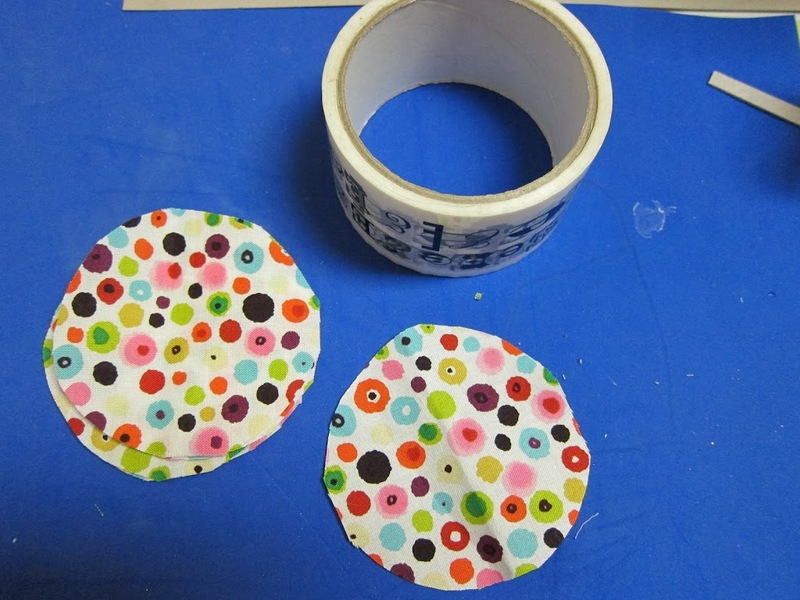 Fold your circle in half with the print showing. 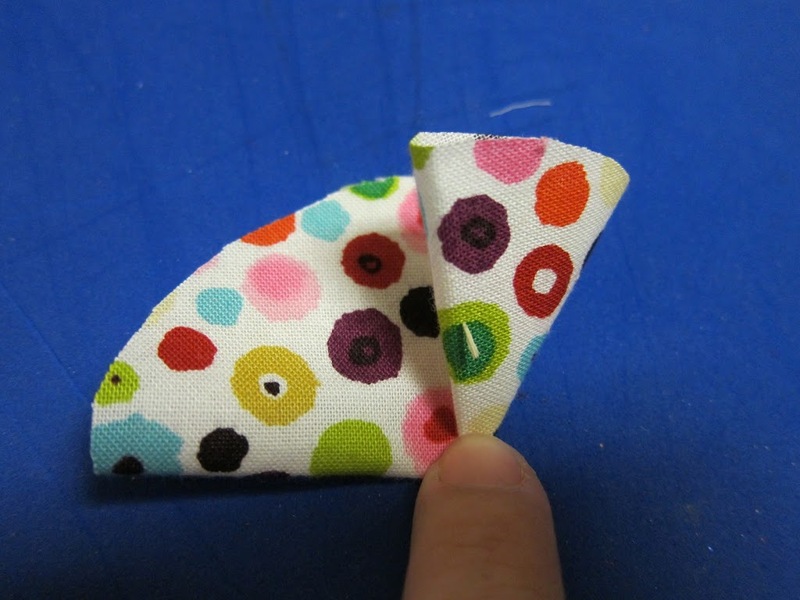 Fold the right corner up to the middle. Repeat with the left corner. 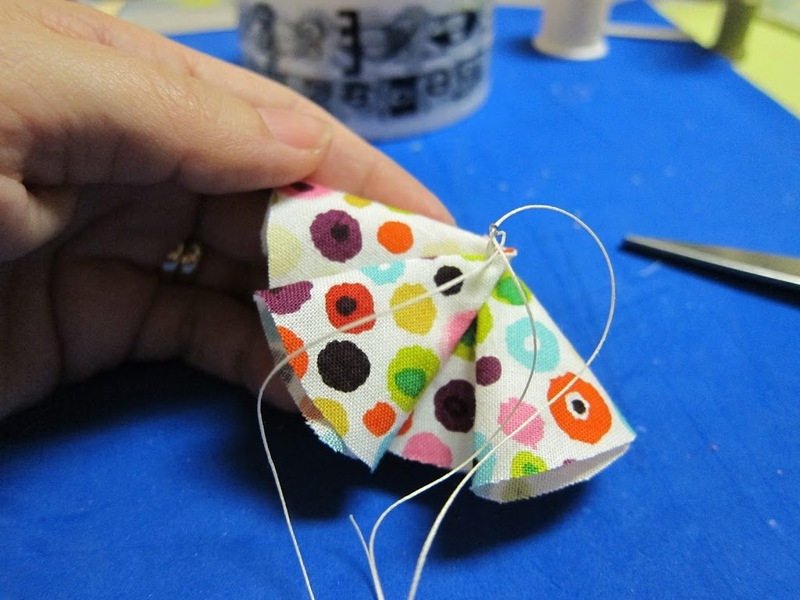 Use your needle and thread to join each “petal” so they overlap slightly. 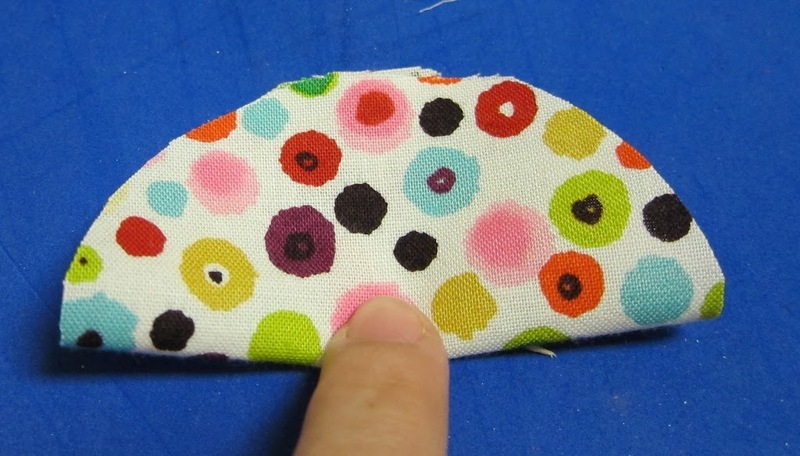 When you are done attach the button or beads by sewing on. 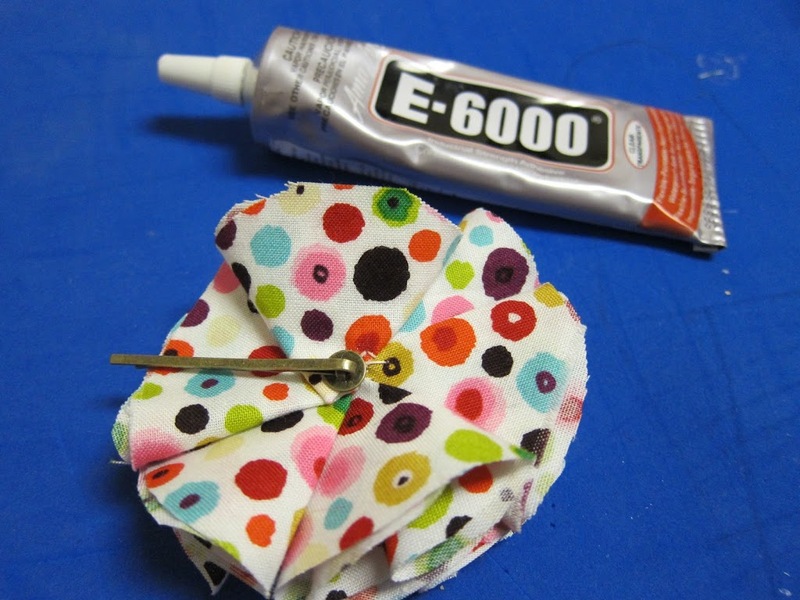 Use E6000 to glue a hair pin blank to the back. 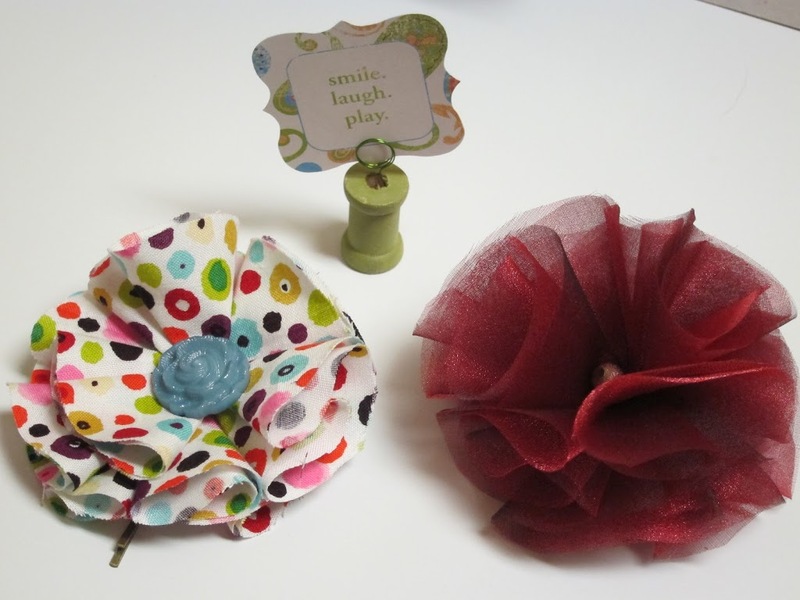 Have fun making a bunch with different fabrics! 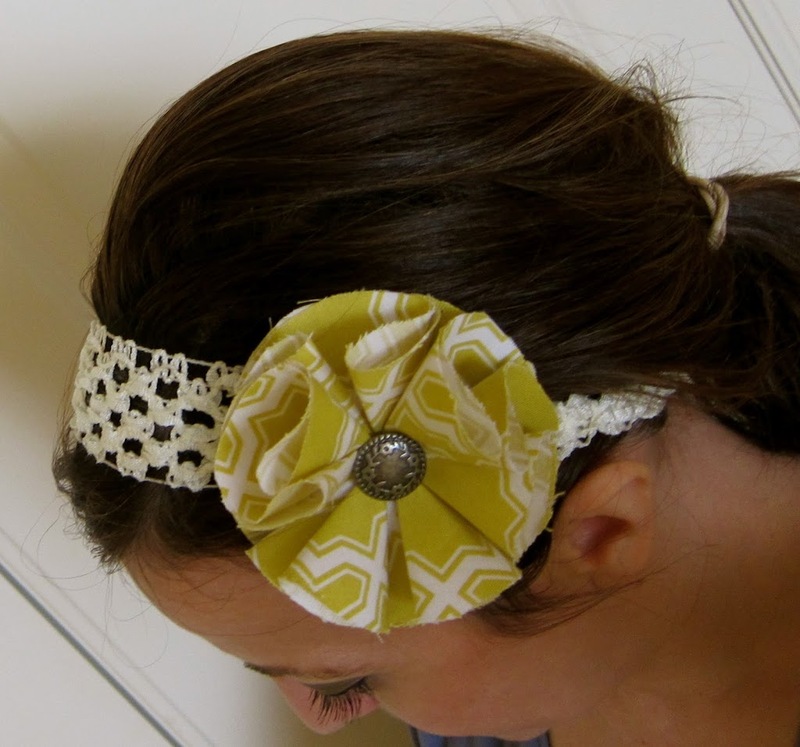 I hope you’ll give this fabric flower hair pin a try! Thanks for looking! 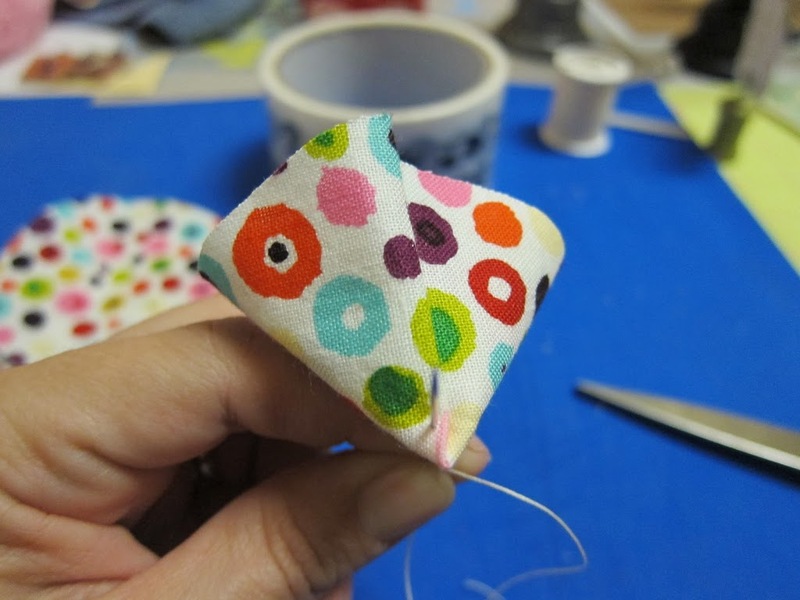 Cute idea and a great tutorial. 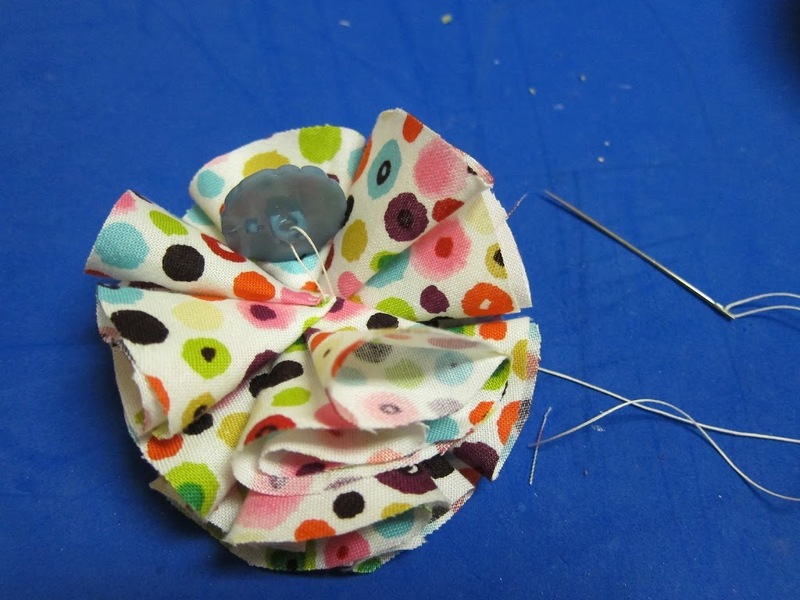 How do you keep the petals together and folded when you’re sewing them? I’m having trouble with it all coming apart in my hand before I can stitch them together. Let me know if you’re still struggling. Maybe I can post a video to help?